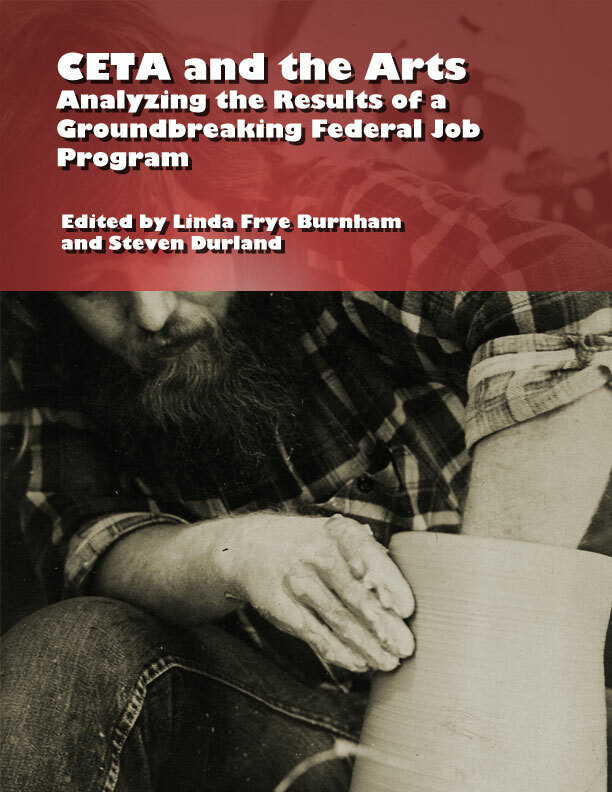 Steven Durland and I have just published a great eBook e-that contains crucial details about the most significant jobs program affecting artists in the past 70 years: CETA (Comprehensive Employment and Training Act), a federal employment program active from1973 to 1981. The information in this book adds vital fuel to the current debate around the economic crisis and its impact on the arts. The $300 million per year spent on CETA arts at its height translates into nearly $800 million in today’s dollars, a really significant sum. Yet so little information has been accessible that the program is almost a-historical. The book makes available a government report detailing and analyzing the results of 15 CETA arts programs in different states across the U.S. The text has been digitized and is fully searchable. Available from the Kindle Store at Amazon for $2.99. Also visit the project’s Facebook page to comment. Published by Linda Frye Burnham and Steven Durland.